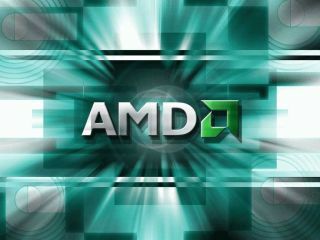 Can AMD turn the chip market on its head with Bulldozer? Have you been keeping up with the latest brand-pimping ad campaign from Intel? If so, you'll know the basic shizzle involves Intel's super-geeky employees looking at life a bit differently. "Our rock stars," says Intel, "aren't like your rock stars." Instead, Intel's rock stars are engineers of esoteric tech like the USB interface. Replace 'rock stars' with parties, perks, jokes and co-workers and you have a series of semi-funny viral webverts. All moderately amusing, no doubt. But could it be AMD, Intel's main rival in the computer chip business, that has the last laugh? Maybe, just maybe. AMD is belatedly tooling up to release a revolutionary new processor architecture that will fundamentally challenge the notion of what exactly a CPU core is. If everything goes to plan, it wouldn't be altogether surprising to soon find AMD tweaking Intel's nether regions with a familiar slogan along the lines of ,"Our cores aren't like your cores." Of course, it's hardly a given that things will go to plan for AMD. After all, this new architecture, known as Bulldozer, was supposed to be on sale last year. At best, we'll see it early in 2011. But let's assume Bulldozer does hit its revised launch date. Why is it revolutionary and how much damage might it do to Intel? For starters, Bulldozer is AMD's first properly new processor architecture since the Athlon 64 of 2003. Every AMD chip since then has been a variation on that theme. A tweak here, an added core or floating point unit there, perhaps. But basically the same design. Not so for Bulldozer. It's a genuinely novel architecture. Novel enough, in fact, to make describing it something of a semantic assault course. Instead of traditional execution cores, Bulldozer chips will be made up of one or more "modules". Each module packs a pair of integer units and a single shared floating-point resource. The latter is actually a pair of 128-bit FMACs, but lets not get ahead of ourselves. Things get confusing because AMD is referring to the integer units as "cores". Admittedly, each unit does get its own scheduling circuitry and L1 cache memory. But they share both instruction fetching and decoding hardware across the module. Not quite proper cores then. In fact, it could make more sense to think of the dual integer units as AMD's answer to Intel's HyperThreading technology. But unlike HyperThreading, which is all about making better use of a single execution resource by sharing it across two threads, AMD has given Bulldozer some dedicated hardware for each thread and hence very likely much more multi-threaded performance. However you slice it, Bulldozer is going to make a mess of easy comparisons based on cores. On the one hand, each module looks like a dual-core unit with certain compromises enabling AMD to fluff up its core counts. On the other, it's a single very heavy duty core with superior multi-threading throughput to anything we've yet seen in the PC. Next Page What about the performance?